Even after hearing a number of rave reviews of this trail mix on social media, I was still skeptical. Not that it didn't sound good. I guess I just tend to have my own opinions about food products, and when I hear nothing but unanimous praise about a particular item, I don't want to get my hopes up too high since they've been let down so many times in the past. I mean, let's face it: being slightly let down by the taste of any fall-themed food product is very much a first-world problem, and not one that I'm proud about even having to mention. 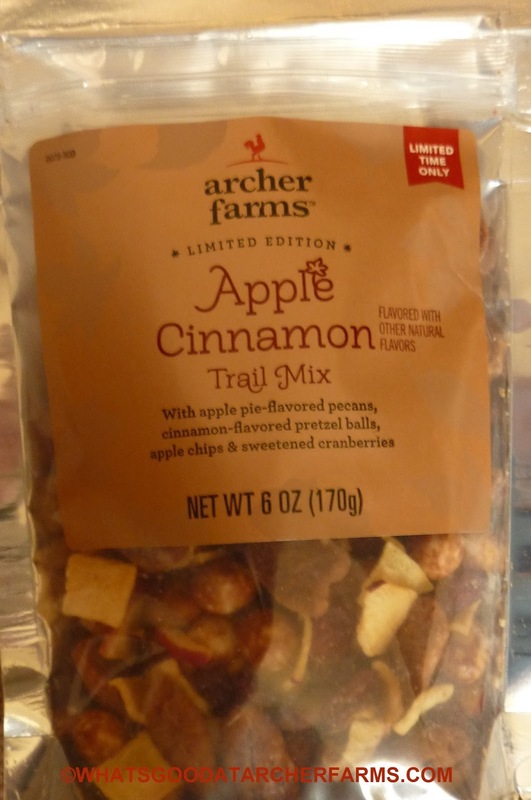 However, when a random, unassuming trail mix from the shelves of the local Target store not only lives up to the buzz about it, but exceeds my expectations in almost every way, I have to admit, it puts a little extra spring in my step and a twinkle in my eye. That's what this stuff did. It's friggin' awesome. Little perfectly-seasoned and sweetened dried apple squares? Check. Cinnamon pretzel balls? Check. Sweet craisin things? Check. And I mean, not only are these things there, but they're all on point. Delicious. They blend together so well, it's hard to describe. 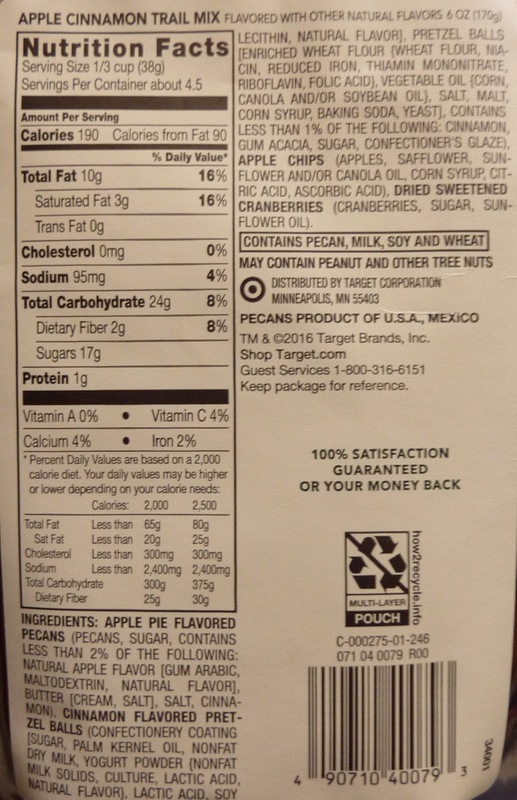 Last but not least, "apple pie-flavored pecans." Before I actually had any of the trail mix, I chuckled at that. 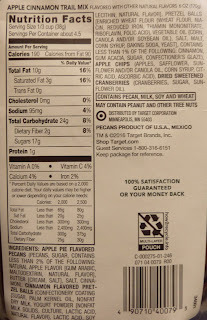 As if there's such a thing as apple-pie flavored pecans. Ridiculous, right? Wrong. I could seriously see someone trying these in a blind taste test and going, "Yum! It's a pecan...that tastes just like...apple pie!" @Jesse_NER added #TastesLikeFall to his tweet about this trail mix. And that about sums it up. I have this foggy memory of being in a candle shop with my parents at autumn-time long ago. There was a lovely blend of potpourri wafting through the air. It smelled so sweet, cinnamony, and crisp. I thought to myself, "Someday, there will be a food that tastes just like this potpourri smells. But not in a gross way. In a really yummy way." Well, friends, that day has finally arrived. $2.99 for a bag. 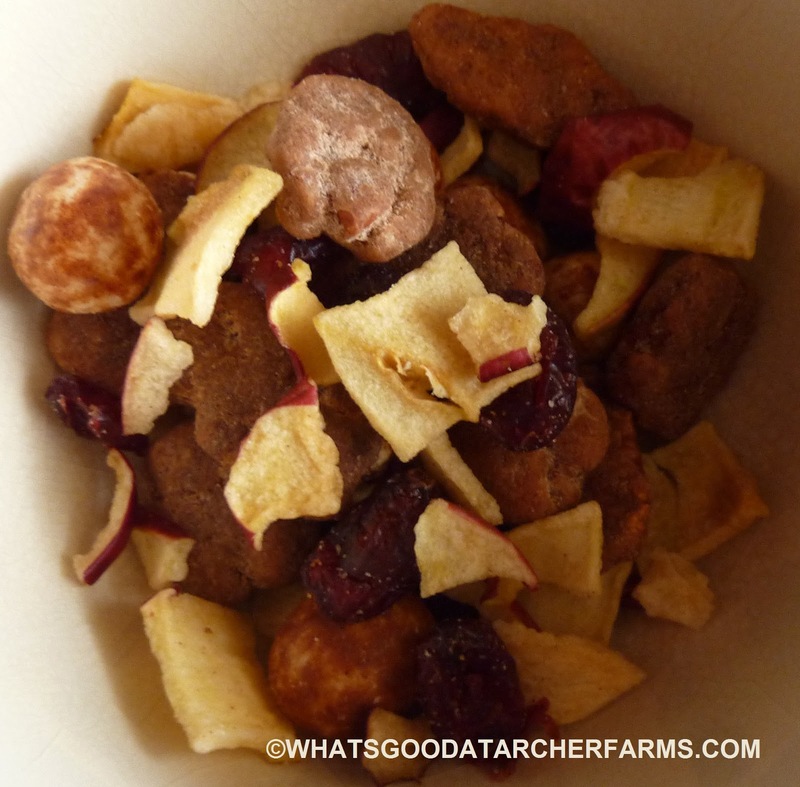 Not bad for a quality trail mix. I give this snack 9 out of 10 stars. Thank the apple Gods! By far the best trail mix from Archer Farms. Too bad I didn't buy 2 or 3 of these bags. Do you have a What's Good at Whole Foods?